Banafsheh has pioneered successful approaches in integration of human centered principles, emerging technologies and advanced data and analytics to deliver differentiated customer experiences for new and existing brands, products and services. Prior to founding Tangerine Lab, Banafsheh held executive leadership roles, leading innovative product and customer experience strategies, sales and channel strategy, CRM as well as other customer-centric initiatives at brands such as MCI, Nextel, Sprint, Nasdaq and the American Red Cross. 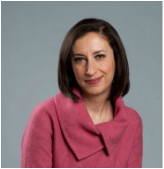 Banafsheh is a sought after speaker & subject matter expert on the conference circuit, expert panels & trade media. Steve is an experienced executive leader for companies ranging from Fortune 50 to start-ups. He served as CEO for a publicly held company in the mobile app space and for a start-up in the mobile privacy protection sector. Steve has over 20 years of experience in telecommunications at Sprint and One Communications. He served as Chief Sales and Marketing Officer of One Communications. At Sprint, he served in a variety of executive leadership positions including VP of marketing, strategic business development and held P&L accountability for domestic and international businesses. Establishing new markets has been a key responsibility. Other positions held at Sprint include vice president of the company’s International business unit as well as vice president of its European operations. Prior to joining Sprint, Steve held several finance, strategy and sales positions during his 10+ years with Owens Corning Fiberglass. Steve has also served on the board of directors of Intelig in Rio de Janeiro, Brazil; Barak in Tel Aviv, Israel; and nonprofits including The Kansas City Zoo, the Sprint Foundation and CASA.